BenQ has launched a new series of projectors with a unique feature of Smart Eco Technology, which gives them the three advantages over the usual projectors. One of them is the usage up to 10000 hours lamp life or 10+ years of projection (basically it depends upon the usage), secondly up to 80% of lamp power savings on electricity consumption and third advantage is basically due to the first 2 reason which is reducing 50% of the replacement costs. The 3D projectors MS521P & MX522P provide the Blue-Ray compatibility to be connected by the HDMI cable, whereas the other projectors such as MS504 and MX505 will provide the normal 3D experience to the users. Users may choose to buy the 3D glasses by paying extra and teachers can also use this to project various lines on the board which may help them to write in the correct alignment. 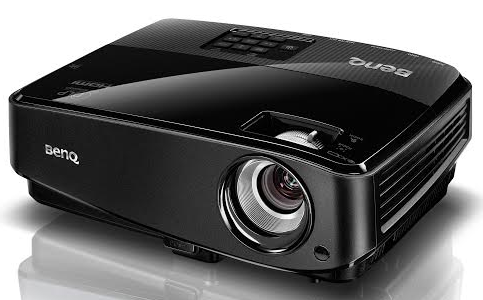 The new projector features high contrast ratio of 13000:1 for these 4 projectors. The price of the BenQ’s new MS504, MS521P, MX505 and MX522P are Rs.28000, 30000, 35000 & 40000 respectively and they will be accompanied by 2 years of onsite warranty and 6 months of warranty on lamp of the projector.